Dental Vita.Mints are ideal when you're on the go, daily. They Clean your mouth, Freshen your breath, Neutralise acids and Balance your Biofilm for long term health. Dissolve 1 - 2 tabs in your mouth slowly up to 5 times a day after meals, or acidic drinks. The minerals and plant fibres in them are good prebiotics for your guts too! Ozospa Alkaline Mouth Rinse to neautralise acids, activate your saliva and soften plaque for easier removal. Rinse and gargle a capful for 1 - 2 mins. 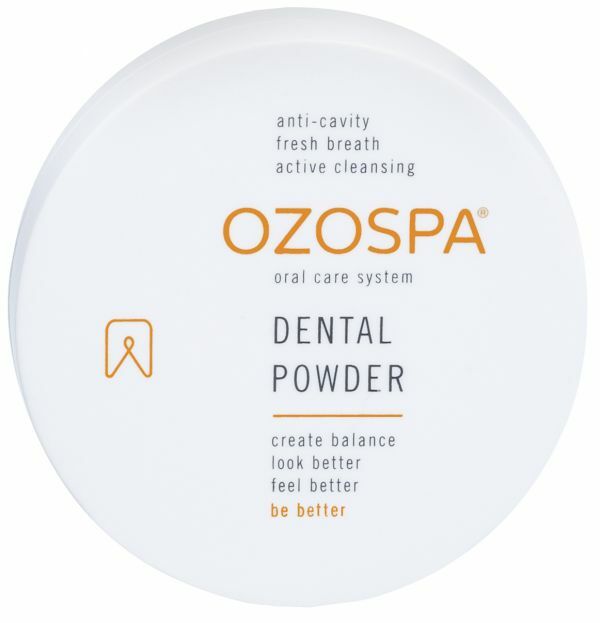 Then follow with Step 2 - Brush with Ozospa Dental Powder.